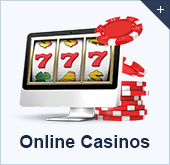 Welcome to our online gambling FAQ page. Here we have gathered the most commonly asked questions and provided a straightforward answers for you. Be sure to read through this FAQ to familiarize yourself with online gambling and betting in Canada. If you have a question that you do not see addressed on here, please feel free to contact our staff who will be happy to help or check out our complete guide to online gambling. Being able to lay a bet without driving dozens or hundreds of kilometers is both convenient and economical. Considering the time it would take to make such a drive, players are better off investing in research and finding the best wagers possible as opposed to fighting traffic. In addition to that, with the cost of gasoline per litre these days, players would probably blow their winnings just covering the gas costs. Also, placing bets with a bookie is not legal and could lead to all sorts of trouble. 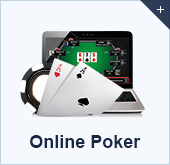 Playing online guarantees you a safe, convenient, and enjoyable experience. In 2019 most online gambling in Canada comes under local provincial jurisdictions rather than a nationwide law. It is, however, illegal to operate an online casino or bookies site from Canada. Despite that, many offshore casino sites legally host their servers in the Kahnawake Mohawk Territory near Montreal. Provincial governments in Quebec and British Columbia have also been given the legal status to operate Internet casinos within their borders. Quebec and BC have state-run casino sites that also offer limited but legal lottery games and sports betting. Is There Any Part of Canadian legislation that I Should be Aware of? Most Canadian legislation relates to people operating online gambling sites, rather than the players, so from this point of view there is little to worry about. However depending on where you live within the country it can be worth keeping an eye out to see if your province or territory changes its laws. According to the Income Tax Act, anyone in Canada winning a lottery prize or winning at a game of chance is not subject to income tax on those winnings. According to the Canada Revenue Agency's "windfall rules", winners are not even required to report the lottery win. However, if your winnings go into a bank account and earn interest, they will be charged interest. In cases of sports betting, poker, or casino games and slots, winnings are also not liable for taxation. However, there are cases where those that receive a "major source of their income" from sports betting could be taxed. In Ontario, for example, there is a 9.15% tax rate on incomes between $42,201 and $84,404. That jumps to 11.16% if you earn between $84,404 and $150,000. As in many countries, if your sole source of income is gambling, you may be eligible for tax. But any losses from gambling, as well as any travel costs, can be deducted from your total "income". In many cases, gamblers won't have to pay tax unless they employ the services of other people. When it comes to taxes on gambling winnings, all Canadian players should consult their accountant or tax attorney for clarification. Click here to read more. Which Canadian Provinces are More Open to Gambling? There is no one answer to this. Many provinces have introduced regulated in-state online gambling, such as British Columbia, Quebec, and Ontario. Generally speaking, Canadian provinces are far more open to gambling than American states. Can I still play if travelling outside Canada? This depends on the site you use, as many of the individual provinces’ state-run sites prevent people from playing while outside its borders. However international sites may allow you to keep playing when you are travelling outside Canada, depending on where you're headed. It is important to check the individual gambling laws of the country to which you are travelling, as some sites may freeze your online casino account if you attempt to play for real money from a restricted territory. Do I Have to Gamble for Real Money? 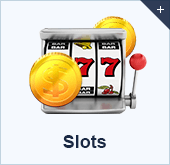 All online casinos offer a "play money" version of their software. Players are in fact encouraged to use the play-money option first as a means of familiarizing themselves with the software so that no inadvertent bets are made. 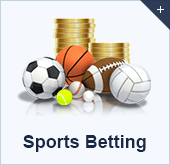 In addition, using a play-money option is a great way to practice your bet making, systems, or try out new sports. When you are ready, casinos make it easy to convert over to the real-money version of their casino. What is the best all-encompassing site? Our reviewers are hugely experienced online gamblers, and on our reviews page they have laid out the pros and cons of all the online gambling sites available to Canadian players. However sites are always changing, adding new games and so on, so it is tough to make a judgment call at any one time on which site is the best, not to mention that what’s best for one player might not be as huge a positive for another. Almost every single online casino site open to Canadian players will allow you to play for free, and this provides you with a great opportunity to get a feel for the games before moving on to real money play. What's better: Online casinos or sports betting? This depends on your personal preference, though online sportsbetting can have more of a skill element for those at the top of the game. Both online casinos and sportsbetting do all they can to replicate the offline experience, so it will likely come down to which you prefer in the offline world. What gambling game offers the best chance of winning? There are a lot of variables at play, such as what bet you place (e.g. if you play roulette and bet red or black, the odds of winning are higher than if you bet a single number straight up). Strategy can play a part too, in certain situations, so it may sometimes be best to try out a few different games (either for real money or for free) to see which suits you best. This varies from site to site, but online casinos are required to publish payout percentages on their games so you can see how likely you are to win in the long run. Of course, variance can play a part in the short term and you can end up winning more (or less) than average. What are the odds of winning playing the lottery? This will vary from one week to the next, but the odds of winning the standard 6/49 Lotto game is roughly one in 14 million, while for Lotto Max the odds are 1 in 28.6 million. Can I Use My Mobile Phone or Tablet to Play? Many of the online casinos operating in Canada allow the use of mobile phones and tablets. Some might offer native applications to iOS and Android systems, so be sure to see if you can find an application within either App Store. The native mobile platform application will represent the best way to play on your smartphone or tablet. An alternate method that some online casinos might employ is through the use of a mobile web browser. Some casinos have optimized their sites to allow them to be viewed and interacted with on these devices. Whether you use a native application or through a browser window, players can make wagers and check lines using their favourite mobile device. What is the best platform to play on? This is a matter of personal taste, and everyone is different. However you can try out a variety of different platforms for free to help you work out which one you like the best. Can I Play on a Mac? Most, if not all, gambling sites these days support Mac OS X systems by offering a native Mac software client. For those that do not have a native OS X application, players have the ability to log in via a website that offers a "no download" option which might be embedded within a web browser window or in a Java runtime environment. Either way, being able to log in and place bets can easily be done with your favourite Mac computer. What are the best deposit options for online gambling? Canadian online gamblers have a range of options available for their banking. Deposit limits and charges can vary, so it's always important to check the Cashier before you start. You should also check to see if you can deposit in CAD or if you will have to convert funds into USD or Euros first. In general, a debit or credit card payment can be made from as little as CAD30 a day but upper limits of CAD50000 are common. You can usually send a physical or eCheck but expect long processing times of weeks rather than days. Fees vary, but debit cards are usually free to use. Credit card top-ups normally have a 2.5-3 percent charge added. A direct Bank Transfer is possible from many participating Canadian banks. You can also use a CA-friendly third party like INSTADEBIT with no fees. Again, check for charges and processing times. Deposits from a Canuck bank can be instant but a withdrawal may take up to 10 business days. Finally, always factor in the processing period. This is added on to any cash-out request. A "reverse withdrawal" period of 1-2 days is added to any cash-out to allow Canadian gamblers to cancel their request. What is the safest deposit method? Most of the well-recognized deposit methods are safe, as the best Canadian online gambling sites use high-tech encryption technology to protect your personal details and ensure you stay protected. Do I need a credit card to gamble online? Not at all. Many Canadian online gambling sites accept a variety of deposit methods, including online wallets (e-wallets) like Skrill, or prepaid vouchers, in addition to a selection of credit cards. How Long Does it Take to Get My Money Out? The amount of time it will take for your withdrawal to be processed and appear in your bank account or through a check in the mail will vary on the online casino and the withdrawal method. Typically, the fastest method is to use an e-Wallet, since those transactions are conducted electronically. The casino will credit your e-Wallet account and once it appears in there, players can initiate a withdrawal via a check (which normally takes a week) or as a deposit into your bank account (a few days). Are online payment platforms or debit and credit cards safer? The main difference is that online payment platforms may allow you to keep some personal details protected when making a deposit, however both methods are safe. Are all transactions processed in Canadian Dollars? On Canadian sites, transactions will be processed in Canadian Dollars. However with international sites this is only sometimes the case, as a minority of sites might only use US Dollars, British Pounds or Euros. PlayNow is the state-run online gambling site from the British Columbia Lottery Corporation (BCLC), one of the largest online gambling sites for a Canadian province. Are Canadian online gambling sites legitimate? Yes. Even if the gambling website is based overseas it will have licensing in place that protects customers. Funds should be segregated from operating costs so that players can always access their online bankrolls. Reputable, regulated sites have regular tests and audits on software and payouts. Log-in details will also be stored on secure servers so that players can't be hacked. When it comes to bonuses, legit sites honour payouts in a timely fashion and won't hoard winnings if a customer wants to cash out. Licensing bodies will have resolution providers in place to help players who feel they have been denied their winnings. How can I be sure I'm not being scammed? Always play on a licensed online gambling site, and do your homework before depositing. We only recommend safe and reliable online gambling sites, and do everything in our power to direct our players to the most trustworthy places to play. A welcome bonus, in a nutshell, is free money. Yes, you read that correctly! Many of the online gambling sites offer a lucrative welcome bonus to new players as a means of incentivizing them to join. The bonuses between a casino, sportsbook, and poker room might vary, but all will offer players a juicy bonus based on the first few deposits players make. Some sites are even known to provide free wagers to players as a means to get started, after they have made their first real-money deposit. The welcome bonus is one of the most important factors to consider when evaluating which online gambling site to join. How do I choose the best welcome bonus? At OnlineGambling.ca it is easy to compare different welcome bonuses for different sites, so you know what you are getting yourself into before you deposit. Different welcome bonuses may have different playthrough requirements, so it is worth comparing different offers to see which suits your own tendencies the best. How do I know if I am eligible for the welcome bonus? All the best Canadian online gambling sites will be very clear on their ‘promotions’ or ‘bonuses’ page to explain the terms and conditions of any bonus. This includes detailing who is eligible for welcome bonuses. Are welcome bonuses as good as they sound? In the sense that you can often receive free money, yes they are. However be aware that there are often playthrough requirements, which force you to make a certain number of bets, or wager a certain amount of money, before you can recoup the headline amount on the bonus offer.